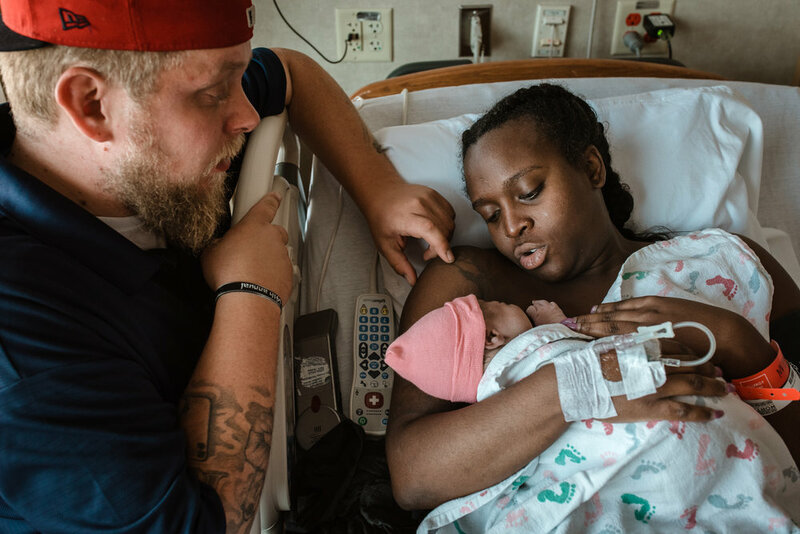 When LaTrice's midwives discovered thick meconium in her amniotic fluid, the decision was made to call an ambulance so that baby Brooklynn would have access to a NICU if aspiration took place. Thankfully, this sweet babe was born without complications at the hospital after a quick ride from the birth center. I walked in the room after finding a spot to park and Brooklynn was born less than two minutes later much to the delight of her relieved parents. After ensuring that she was doing well, her big brother and her big sister were invited into the room to meet her. Reserve your spot on my calendar today! Spots fill up quickly!